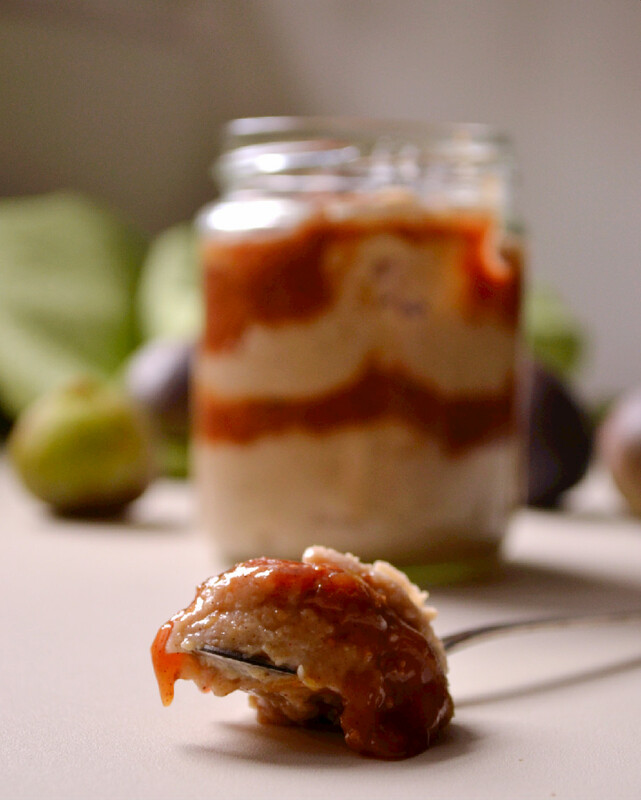 I’ve been a tad obsessed with figs lately, in case you hadn’t noticed. There are just too many amazing ways to enjoy this delicious seasonal fruit and I can’t keep them all to myself. The last container that followed me home from the market hailed from the region of Basilicata, which is nestled between Apulia and Campania, in Southern Italy. 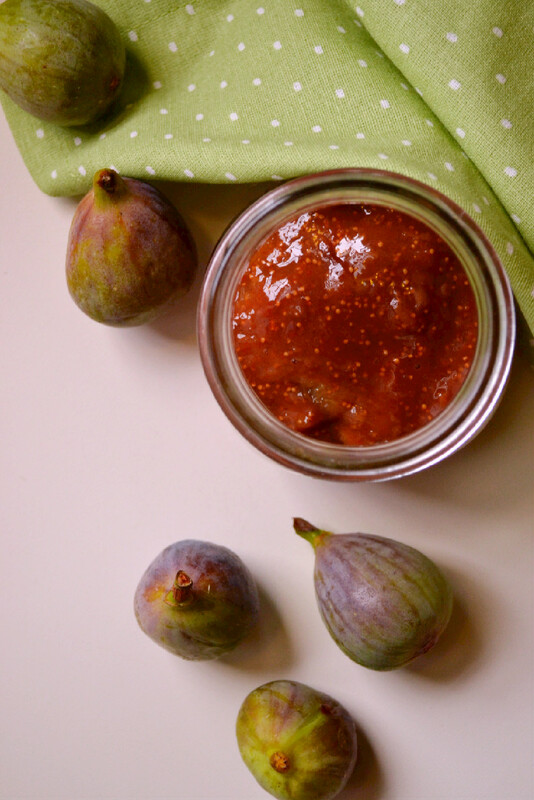 Unlike the dark purple honey figs from Apulia which I used here and here, this variety is known as “fico rosa” which translates into “pink fig” in English. The skin is green with a pinkish/purplish hue and the flesh is bright pink and sweet. After some deliberation about what I should do with these figs (besides stuffing them in my face raw, and we all know I did plenty of that), I decided on a spiced compote, with cinnamon, fresh ginger and lemon rind, which was heavenly in and of itself, but I didn’t stop there. I decided to pair it with my Hazelnut Millet Pudding to create an all in one healthy and whole food breakfast, snack, dessert. Bird food might come to mind when you think of millet, but don’t let that deter you, as it has many powerful healing properties and is extremely versatile. It was once the ingredient used to make polenta in Italy, before Christopher Columbus brought corn back from his journey to America that is. After many years of neglect, the super seed is now back on the food scene with a vengeance, likely due to its inherent gluten-free qualities and the surging demand for this category of products. Often confused for a grain, much like buckwheat, quinoa and amaranth, millet is actually a seed. It is pearly and has a delicate flavour that lends itself to savoury and sweet preparations. It makes a wonderful creamy porridge when whipped and when the seeds are toasted, it cooks up fluffy like rice. It is considered to be the most digestible of all the pseudograins and has numerous vitamins, minerals and health benefits. To name just a few, millet is an excellent source of fiber, protein, some B complex vitamins such as niacin and thiamin, phosphorous, manganese and magnesium. It is thought to protect against oxidative stress and free radicals, boost the immune system, alkalinize the blood and help eliminate water retention. A powerful birdseed at that! 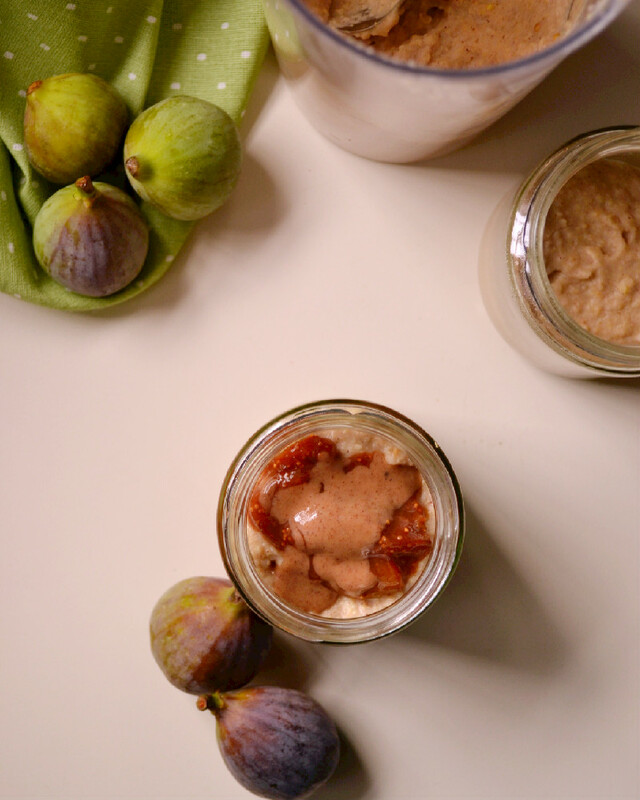 This millet pudding can been eaten alone or layered like a parfait with the spiced fig compote, for an extra special treat. Recipe & Photography by Nissrine @ Harmoy à la Carte. 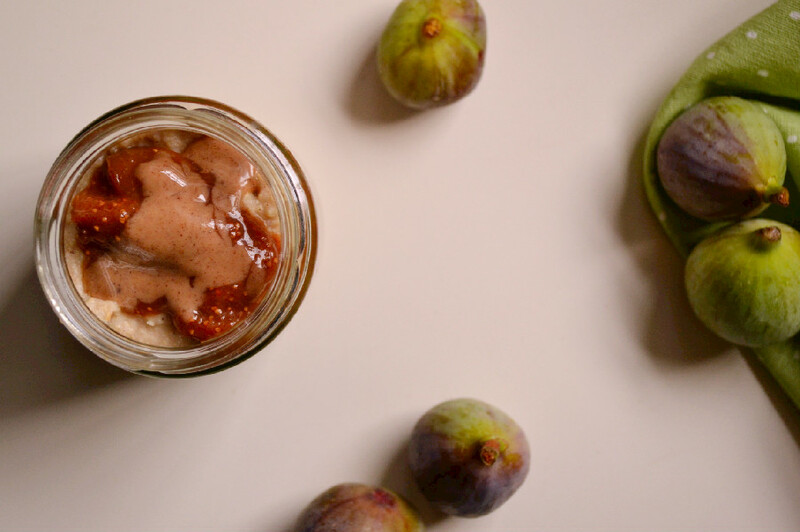 Combine all ingredients over low heat and simmer until the figs start to soften and form a liquid. Cook for about 10-15 minutes until liquid has thickened. Do not overcook, as you want the fig quarters to remain whole. Thoroughly rinse millet in cold water using a fine mesh strainer. Add millet, rice milk and water to a pot, bring to a boil. Mix in vanilla, reduce heat to low and simmer. Once the mixture starts to thicken, stir in hazelnut butter and mix well to incorporate. Continues cooking on low heat, stirring frequently, until the mixture is smooth and millet has softened (25-30 minutes total). Let cool slightly, then purée/whip using a hand blender. You don’t need to over blend here, just purée it enough to get a creamy and somewhat smooth texture. 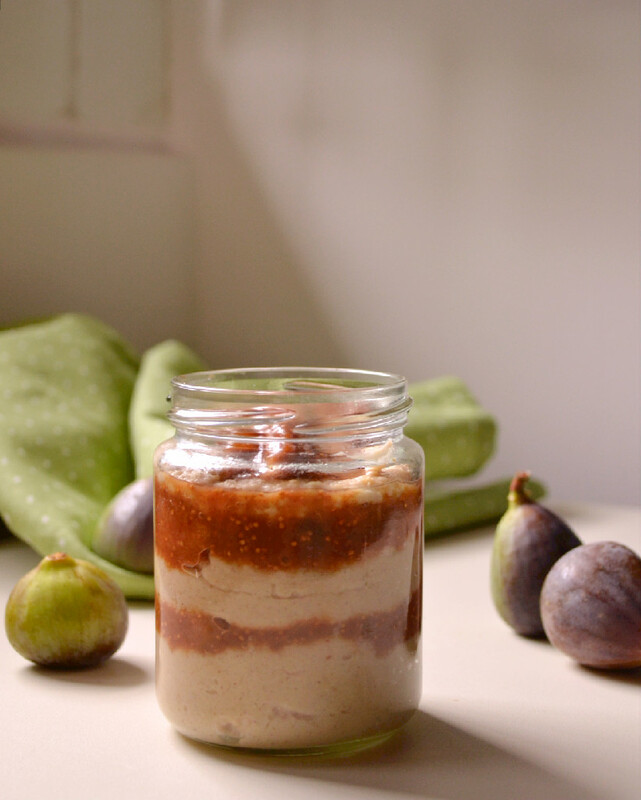 Alternate millet pudding and fig compote layers in a jar or glass tumbler and serve with a dollop of hazelnut butter drizzled on top. Enjoy for breakfast, as a snack or after dinner dessert. Delicious ideas from my pal at Harmony a la Carte.